Ben Tamker earned his Eagle award from Troop 1 Stow in 2003. Ben is a graduate of the University of Connecticut in business. 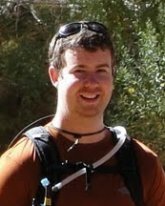 Ben accompanied Troop 1 on the 2008 Wyoming expedition, and has attended all high adventure expeditions since the 2000 New Mexico excursion. Ben currently lives in New Jersey but frequently returns to help guide the Scouts of Troop 1 Stow. Ben finally achieved a lifelong dream by winning the Badminton tournament during the 2013 TOSA Decathlon.